Chris went above and beyond at every point of the process. He was extremely helpful explaining everything to a set of new home buyers and I couldn't have asked for a better realtor. Chris is amazing! I have bought two houses with his help and in each case he was extremely knowledgeable, flexible, and responsive. As one example, Chris made himself available at the drop of a hat in order to help me take advantage of a time sensitive opportunity. Chris also helped me troubleshoot some issues that came up with my appraisal. Without his help, I would never have been able to find the house I was looking for and get it through the close. He has a large Rolodex of personal connections that helped me with several aspects of my transition – painters, home inspectors, etc. I strongly recommend Chris to anyone looking to buy or sell their home! Shaun did a great job finding the right home for us in record time with no drama during a cross country move. Shaun's responsiveness during the home buying process was exceptional and after the sale he continues to be responsive in assisting us with various activities. He did a great job with the overall process as well. We highly recommend Shaun Livernois for your home purchase or relocation needs. We highly recommend Chris Edwards. We've had experience with a couple of other realtors, and can confidently say Chris has been the best realtor we could've worked with. I almost never write reviews because we have very high standards but Chris has been awesome to work with. He's knowledgable, gives great advice, and is super responsiveness. He was also very helpful in assisting us with navigating some challenging issues with our builder. He's very tactful and highly skilled in communicating with different people in a way conveys the right message to them in right way. We would certainly go to him again for any future needs without a second thought! Chris was there for us every step of the way. We started looking at houses and then half way through chose to build. Chris helped us the whole way. The communication was on point. His knowledge is spot on. He makes you feel like his best friend. I felt comforted the whole time that he was not going to let anything bad happen to is. He was in our corner the whole time. Thanks Chris for an amazing experience. I will never deal with anyone else. An excellent experience from beginning to end. Shaun is a consummate professional and completely thorough in every detail. Updates on the process were thorough and timely. I would recommend Shaun Livernois and Chris Edwards Realty to anyone looking to buy, or sell, a home. Shaun Livernois was my realtor and he was excellent. He guided me through every step of the process of selling my home. He quickly responded to all of my questions and provided expert knowledge of the local marketplace. I would definitely recommend Shaun to friends and family. Shaun helped my wife and I relocate from Atlanta to the Triangle area. Not only did we move out of state, but this was also our first home purchase, and we did new construction. Shaun was invaluable to us during the process and my wife and I have told each other numerous times that there is no way we could have made the move without major challenges if it weren't for Shaun. When we initially contacted him, we had the stance that we were "considering" moving to the area and wanted to speak to someone about the housing market and good parts of town to look. Shaun took time to get us info on the area, drive us around to see various parts of town, and never pressured us to commit to doing anything, he just wanted to provide knowledge so that we could make our own decisions. Once we committed to making the move, Shaun was extremely helpful with putting together a plan to search for houses that met our criteria and to show us different homes and educate us on what to look for and what to avoid during the process. We decided to do new construction and Shaun's level of service was incredible. He was on top of emails and updates with our builder and lender, guided us through the process and told us what to expect each step of the way, and was our eyes and ears since we weren't local. He even set up and attended inspections for us and was proactive about staying on top of schedules. Honestly, there were zero major surprises throughout the process and we feel confident in the decision we made with our home thanks to Shaun's guidance and knowledge. Shaun is great about making you feel as though you are his most important client and he made us feel like he had our interests in mind, not his own. We will recommend him to anyone we know looking for a house and will be using him next time we move! We recently relocated from Atlanta and opted for new construction. Shaun helped us through the entire process and attended builder meetings, inspections, and checked on the house for us often. He had honest advice about expectations, pros/cons of resale vs. new construction, and lifestyle in different areas. He is very quick to respond, on top of deadlines, and super organized. We can't brag enough about Shaun who went above and beyond for us! We're so grateful that we found him. Chris is the best! He guided us through this experience with ease and with his expertise we had no problems or glitches with the process. The services Chris provided with the listing of our house were above and beyond my expectations and contributed to the quick sale of our house. He gave us the support that we needed to navigate the difficult transition at this time in our lives. Thank you Chris. Again, you are the best! Chris Edwards and his team are amazing! They prepared us well for selling our house and buying our current home. He is always positive and approachable any time that we had a question. We were very thankful to have an experienced real estate agent to help us negotiate with the buyers of our previous home, and to help us through the stressful times. We would definitely recommend Chris Edwards and his team! Shaun Livernois provided knowledgeable guidance and was prompt in meeting us whenever needed. He guided us through the purchase process, connecting us with loan providers and legal assistance to close. Being overseas I was very skeptical of trying to buy a house prior to my return to the NC area; however, after working with Shaun (a member of Chris's team) I became much more confident and relaxed in the process. Shaun was nothing short of a true professional and worked with my wife and me diligently to meet our endless requests and questions. Even with my time difference, Shaun was constantly there with a quick response to any emails or messages. If it was not for the confidence we had in Shaun and his ability, we would have never closed on our perfect house as we just did. We cannot recommend Shaun and the team enough. Chris is very pleasant and responsive to work with and his suggestions are right on. He will take good care of you. I would definitely use him again! I’ve gone through 6 corporate relocations and Chris is by far the best realtor we’ve worked with! He was very attentive, professional, and timely in all of his responses. We worked with Shaun Livernois at the same firm, who is great and courteous. He has extensive knowledge of the area and how the process works. He was always prepared for our next step and answering our questions before we even ask them without him knowing it. He explained to us many things we did not know about and he always wanted us to ask questions, he was ready with answers. We liked a home and decided to submit an offer and he suggested a really good price for it to make sure our offer was chosen. One month later we are moved into the new home. The process of purchasing a home is more complicated that it should be, but with help from a good agent like Shaun, it was good moving forward. Shaun also has many connections that are helpful when it comes to accomplishing something. By the way, we lived five hours away from this area, but still accomplished things with the help provided from Shaun. Thank you Shaun for an easy process and complete satisfaction, we will definitely work you again in the future and recommend you to our friends and family. Shaun Livernois listed our house & got it sold in 3 days! Shaun was always exceptionally professional, communicative and pleasant to work with. I would recommend Shaun to anyone who is looking for a superior real estate broker! We worked with his partner Shaun Livernois. He is the greatest!!! Any question we had for him, he had a response within an hour. I felt like we were his only priority when I know he had a lot of people he was helping. I truly could not have been happier with our experience. I have let all my friend know that if they need anyone to sell there home or if they are looking to buy to let me know because I HIGHLY recommend Shaun!!!!! 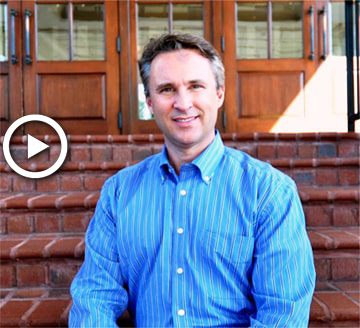 We met Chris through a mutual friend who recommended him to us for selling our home in Cary. Chris fully explained his marketing process, and his associates helped stage the house and prepare it for sale. It all paid off when we received multiple offers within 24 hours of the listing date. Chris helped us sort through the offers and select the one most advantageous to us. Throughout the process, and well after the sale, Chris was there to answer questions and explain our options when we had to make decisions. We particularly appreciated Chris' personal honesty and integrity, which he showed consistently to all parties to the transaction. We would recommend him to anyone needing a real estate professional, and we would certainly use him again ourselves. Shaun was a great agent for our home purchase. Very well organized, quick to respond to any and all questions, and seemed to have our best interests in mind. He came recommended by close friends, and I wouldn't hesitate to recommend him to others. When we bought our first home, we used Shaun Livernois, who is part of the Chris Edwards team at Remax. We were so impressed then, that we knew when the time came to sell and upgrade, that Shaun would be the one we would use again. Shaun goes ABOVE and BEYOND with everything. Prior to listing he came to our house and sat down with us to discuss options and show us comps to our house and where we would likely be sitting at a price. When the time came to list, he set up for a stager to come to the house and tell us everything that needed to be done and suggestions for showings. When we were ready to list, he ran comps again as it was a couple months after the initial. He suggested a list price that was higher than originally discussed, but we all felt that it was a good price point, based on comps and the market. We listed on Feb 1 and were under contract on feb 3rd with 6 different offers, (all of full price or more) From start to finish, Shaun just makes the process so effortless. We never had to worry about doing much of anything. Shaun set up the repairs with the contractor and was in constant communication with us. We just cannot say enough amazing things about Chris and Shaun! They have clients for life! Shaun is AMAZING to work with! He is very patient and will walk you through the entire buying and/or selling process step-by-step. He just helped us sell our first home (above asking price!) and purchase our second home. HIGHLY recommend! We recently bought a home with Shaun Livernois of the Chris Edwards Group. He was there every step of the way and help us find a home very quickly. When we wanted to see a house, he was very prompt in getting us in. I would highly recommend him to anyone buying or selling their home. Our recent home purchase through Chris was the single most painless and seamless real estate transaction my husband and I have ever experienced. Chris is incredibly helpful and responsive. And unlike many others in his profession, he isn't at all "sales-y", but comes across as completely genuine and sincere. We would not hesitate to work with him again or recommend him to others. Chris goes the all the way for his customers. I will not have anyone else to help me with selling and buying a new house. A great person with a lot of help in his office and he always has a list of people you can depend on. Thanks to Chris for my selling and buying a new home for me. Chris has helped us sell two homes and purchase one. He is extremely professional, knowledgeable, personable and has the client's best interest in mind every step of the way. We love working with Chris and would recommend his expertise and services to anyone needing a realtor in the triangle area. Chris has now helped us purchase two homes and sell one. He is conscientious, honest, attentive to feedback, flexible for scheduling, and an all-around great guy! We would highly recommend Chris to anyone! Chris Edwards is professional, organized and prompt with communication. He has a calm demeanor. He listens intently and actively helps to find a home that directly suits your needs. A colleague referred me to Chris and I will refer Chris and his group to anyone I know who is looking to buy or sell a home. Overall, the home buying process was smooth and trouble-free thanks to Chris. I will use Chris and his group for any future Real Estate needs. Chris is the best realtor in the Raleigh area, period! I used Chris to buy a home in 2010 and was impressed with his knowledge, customer service, and advice. It was such a great experience working with Chris that I used him again to sell my house in 2017. Chris is such a professional and really cares about his clients. We had to relocate and Chris was awesome about checking on our house, lining up contractors when needed, and keeping us informed. I can't stress enough how impressed we are with Chris. If you want a great realtor who really cares about his clients and does whatever it takes to get the deal done, then Chris is your guy. Working with Shaun Livernois and the Chris Edwards team was outstanding. Shaun was extremely responsive and attentive to our needs as first time home buyers and handled every step of our home purchasing experience very well. Thanks so much for helping us find a great home in a very competitive market! Chris was fabulous to work with! Always quick to respond, very knowledgeable about the area, organized and friendly. We truly enjoyed our experience with him and look forward to working with him in the future. Chris was very helpful and friendly. He would always call or text me back with an hour if I had a question. I would recommend him to anyone looking to buy or sell a home in the Raleigh, NC market. Shaun was a wonderful realtor! My husband was deployed when I began searching for our new home. Shaun was very professional, patient and knowledgeable. We were very impressed with our home buying experience and we would gladly recommend Shaun! Chris is incredibly knowledgeable about the area. He is very easy to get in touch with and always prompt at returning calls. He worked very hard on our behalf as both a buyer and also a seller as we have worked with him twice in the past few years. We would absolutely recommend him to anyone! We worked with Shaun Livernois in the Chris Edwards group and had a phenomenal experience. Shaun was very knowledgeable about the process, was extremely patient in working with us as first-time homebuyers, and helped us find a home that we are so happy with. He was always very responsive and gave feedback in a helpful, non-pushy way. We would definitely recommend him to others! My husband and I saw a house we loved online and contacted the realtor, Chris, right away. Chris immediately got us in touch with his associate, Shaun Livernois, who got us a showing on the house within an hour of our call. The house was extremely popular and their quick response was greatly appreciated. We put an offer on the house the next day and it was accepted. Shaun was quick to process all of our documents, made us feel at ease about the whole process, and never once were we stressed to get stuff done. He responded to our emails within an hour every time. He was easy to talk to, had great ideas and suggestions, and helped us talk through all of our concerns. The whole process was so easy. As we left the closing I said to my husband, "Wait, isn't buying a house supposed to be stressful and time consuming?" It certainly didn't feel like that at all! CHRIS EDWARDS PROVIDED THE BEST SERVICE AS A REALTOR I HAVE ENCOUNTERED. HIS PROFESSIONALISM, IS THE BEST, HIS ATTENTIVENESS TO DETAIL WAS OUTSTANDING AND HIS ABILITY TO COMMUNICATE AND EXPLAIN EVERY DETAIL OF THE SELLING OF A HOME. Chris Edwards was amazing to work with and he made the whole process less stressful for my husband and I relocating from another state. He was knowledgeable about the area and housing market, he was patient as we searched for the perfect home and made the deal of the century on our behalf with our house purchase. Would highly recommend Chris; you will not be disappointed in the experience! He absolutely understands the importance of great customer service and goes above and beyond! I have moved many times and dealt with a lot of realtors. Without a doubt Chris Edwards has been the best realtor I've ever worked with. We were moving in from out of state and did not know the area very well. With just a few discussion he understood what we wanted to look at. He knows the geographic area extremely well and was able to advise us on buying in various markets and what that might mean in the future to help us make a good decision. When it came time to make an offer I really wanted to dig in to the details of true market value and Chris was an expert at doing the analysis and structuring the offer. During the entire process he was very responsive anytime we needed him or had questions and he can give you endless referrals to qualified services that you may need at your new home. Very helpful for someone new to the area. If you you're looking to buy a home I would highly recommend working with Chris. They are extremely knowledgeable about the market and able to answer questions before we even thought of them. We could not have picked a better agent to work with. We very much enjoyed working with Chris Edwards. He was responsive to our needs, even to the point of having one of his associates show us a couple of houses we wanted to see while Chris was out of town. He has great knowledge of the area. He listens to his clients and is able to provide options that the client might not have foreseen. We ended up buying a house that came on the market the day we bought it because Chris found it and took us to see it. It wasn't as if we weren't looking online for ourselves, but we were just so impressed that he found exactly the perfect thing for us despite our own efforts! Chris is a "full package" realtor: for anything you might need, "he has people!" We were saved a lot of time and effort because we were able to reach out to Chris for any of our needs, including the lender and locksmith. Would we work with him again? Absolutely. Would we refer him to friends and family? Unhesitatingly. We have bought and sold more homes than I care for due to having served in the military. We have also used multiple realtors in the Raleigh/Cary area - never using the same realtor twice based on mediocre experiences. When I met Chris, I told him that not one of our former neighbors who'd recently sold their homes was willing to recommend their realtors; thus, forcing us to rely on web reviews...it was the best decision we could have made. To make it more challenging we were selling this home after already moving from the area. Chris took care of everything. His network of resources was invaluable and his experience in the area and market helped us sell quickly. Even when working with the buyer's realtors was a challenge, Chris was able to navigate the nuances like a professional. As someone who has used a lot of realtors, I believe I have a good sense of what a good realtor and bad realtor are and I have no hesitation in highly recommending Chris and his team. great, absolutely great. found us multiple houses with our "want list items" every time we went to look at houses. incredibly well organized, fast responses, everything was covered and explained in the binder we were given. every house we looked at had the stats. absolute pleasure working with shaun livernois. I have worked with Shaun for buying a home in the past. Most recently, I worked with him to sell a house. He did a great job of communicating all important information in a timely manner. His partnership throughout the negotiation process was extremely valuable. I have also recommended Shaun to friends who have great things to say about his professionalism. Great buying experience, fantastic agent who listened to what we were looking for and was patient and super responsive throughout the whole process! I would highly recommend. This team goes above and beyond to get a deal done. I couldn't believe how knowledgeable and even keeled the staff were when dealing with high pressure negotiations. This is the team you want on your side. We specifically worked with Shaun Livernois who brought years of experience to the table. While Shaun was extremely helpful in finding a home, he really began to shine when it came to the closing process. Shaun handled all of the contacts, set up appointments, frequently visited the home when we could not be there, and his follow through was impeccable right until the end. We even had a delay in closing due to the lenders and Shaun knew exactly how to handle it to ensure the purchase was successful. I have purchased over 7 homes in my lifetime and by far this was the most pleasurable and professional experience (even with the lender's delay!). Chris was by far the best relator for us. He was very willing to make himself available to us even with short notice. He was also genuinely interested in making sure we found the best property to meet our needs and we did. We highly recommend him! Chris was extremely helpful in guiding us through the process as first time home buyers. From our first meeting we felt very comfortable with him and knew we could trust him in the process which is very important in a realtor. He was very easy to contact, always quick to respond and willing to accommodate our crazy schedule on week days and weekends. It took us a while to figure out what neighborhood we wanted to buy in and he was willing to meet us all over Raleigh/Apex/Cary/Holly Springs and was knowledgable of all of the Raleigh neighborhoods/suburbs/traffic/schools. Chris also worked hard to negotiate our offer and get us into our house in a very short 30 day closing so that we could have a seemly moving experience. We might not have found our house if it wasn't for Chris and we would highly recommend him to anyone looking for a house in the Raleigh area.